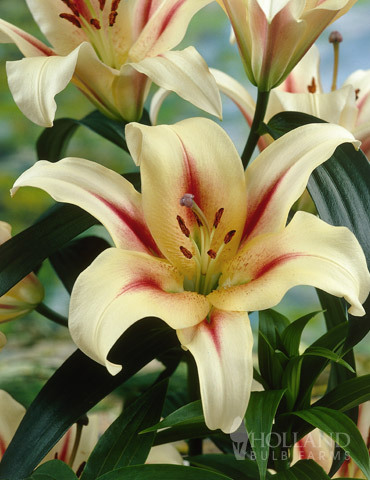 One of the latest trends in the "lily world", this orienpet lily is a cross between the ever-popular Easter Lily and the Oriental Lily. 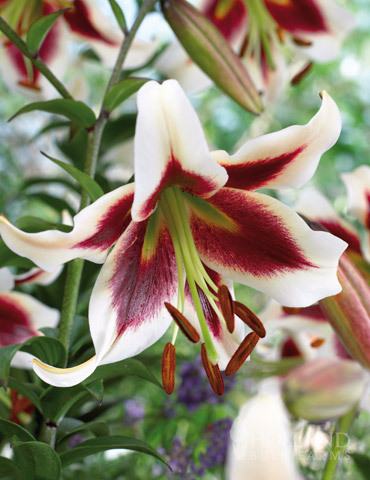 Each type of Orienpet included in this collection is highlighted with a deep red. 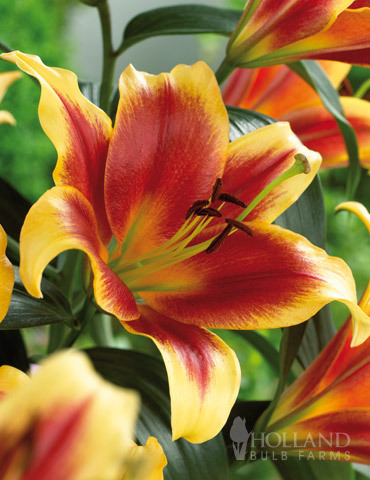 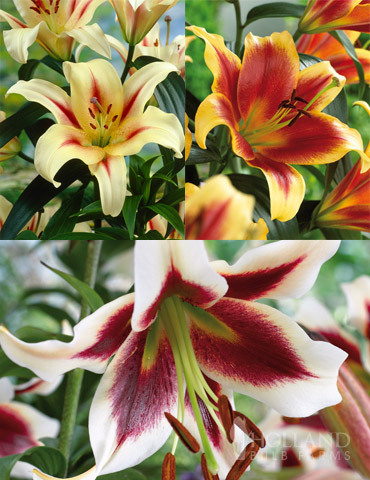 Beautiful in fragrance and stature, don't leave this lily out of your garden design!